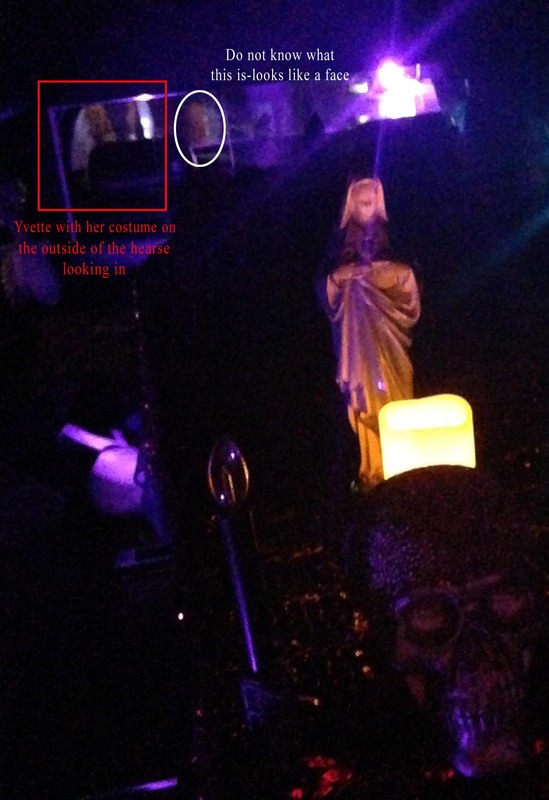 Okay, not really sure if these are spirits in my hearse fooling around because I was taking pictures or if they are some distortion with light and shadows. 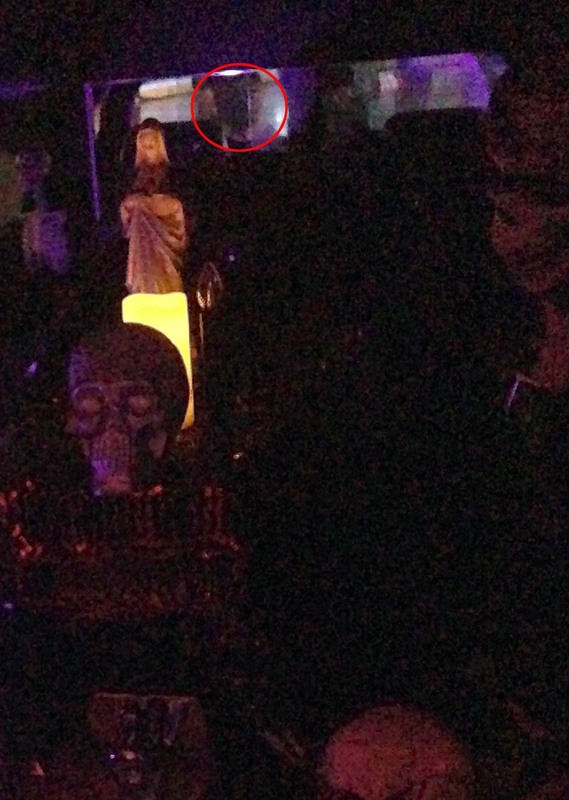 Sometimes it is a little difficult to say 100% “yes that is a spirit in the photo”. So I ask you to look at the pictures with a grain of salt and a skeptical eye. The pictures were taken through the back of my hearse at the St. Albert Eek Fest, Comic and Pop Culture event. We had an area where 3 hearses from the Edmonton Bonewagon Association were parked. 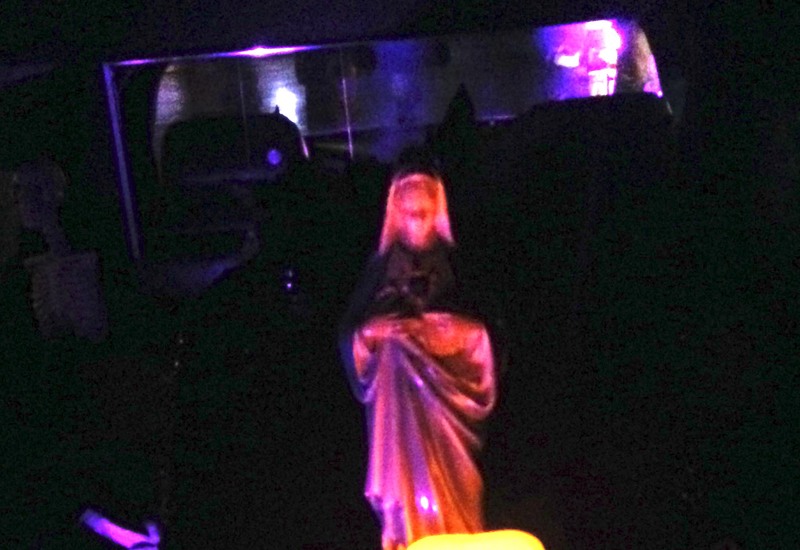 I got bored and decided to take some pictures of the display in the back of my hearse. 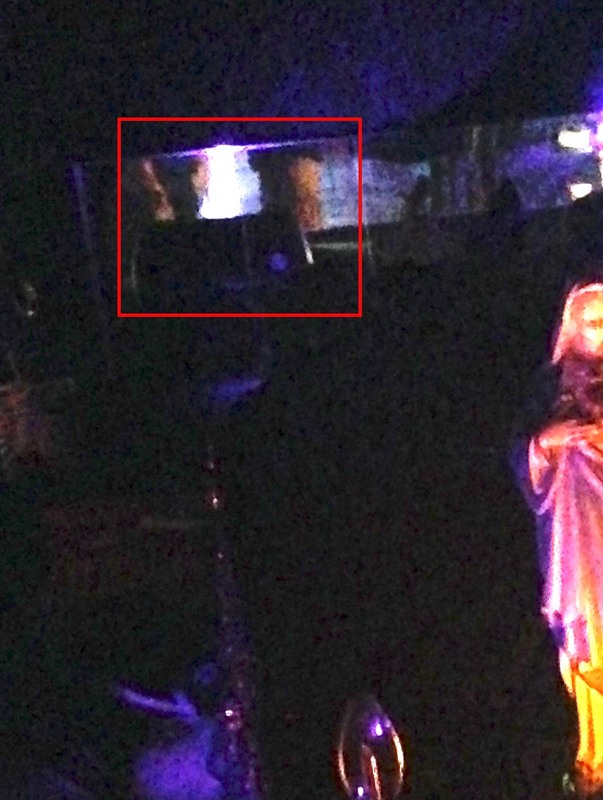 I lightened some of them and cropped and enlarged where I thought there was something unusual. 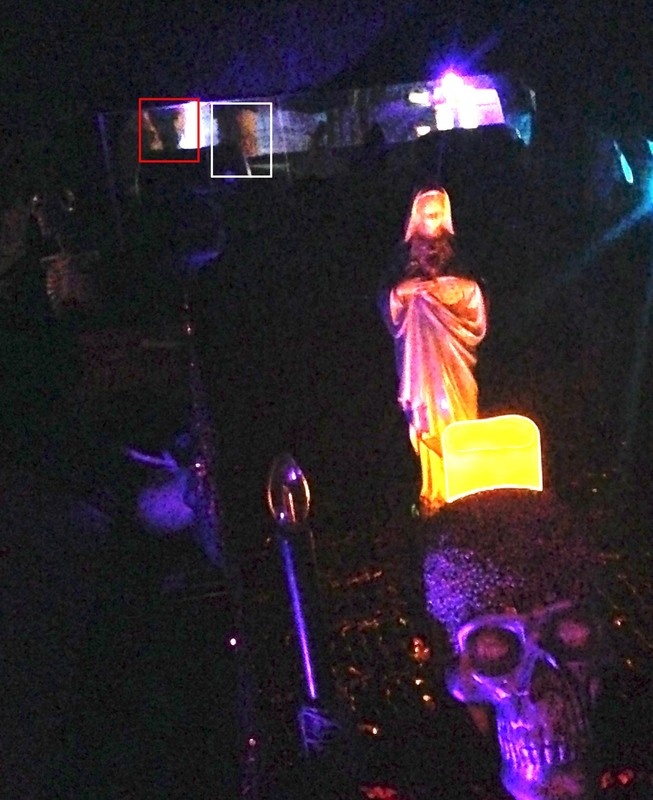 This face looks different from the others and it looks larger and closer like he is definitely in the hearse. I had a devil prop in the front seat that was way too short to even be seen over the top of the driver side seat. And he faced front. This is a picture looking through the back of the hearse with nothing looking back at me. I think.